Dr. Eric Gentry has trained thousands of professionals and paraprofessionals worldwide in the treatment of traumatic stress. His doctorate is from Florida State University where he studied with Professor Charles Figley, one of the pioneers ... See More of traumatic stress. Dr. Gentry was one of the original faculty members of the Traumatology Institute and later became the co-director of the International Traumatology Institute at the University of Southern Florida. Dr. Gentry, along with Dr. Anna Baranowsky, is the co-author and co-owner of the Traumatology Institute Training Curriculum – 17 courses in field and clinical traumatology leading to seven separate certifications. He is the co-author of the critically acclaimed Trauma Practice: Tools for Stabilization and Recovery (Third Edition). His newest books include Forward Facing Trauma Therapy (2016) and is co-author of Trauma, PTSD, Grief & Loss (PPM, 2017). 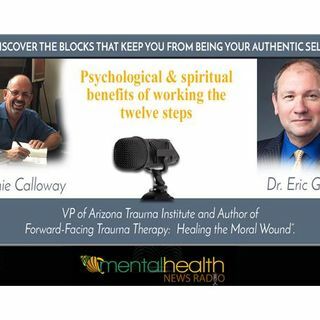 Click here to learn more about Eric Gentry at Arizona Trauma InstituteClick here for Johnnie's Website Follow us on Facebook - Morph Into A New You!